The Copper Point Weekend Special gives you what everyone wants: to truly getaway from it all. 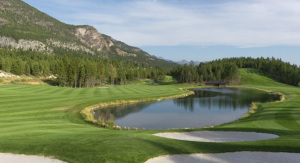 Located just 3 hours west of Calgary, Copper Point Resort is a slice of golf heaven on earth. Luxurious accommodations, on-site dining, indoor and outdoor pools and hot tubs, 24 hour market, two great courses on site and five more within twenty minutes. This is a weekend of golfing, relaxing, sleeping-in, drinks in the hot tub and indelible memories. The Copper Point Weekend Special will have you feeling so good that you may just have to call-in “sick” on Monday! 2 nights and 3 rounds – $375! Price is per person based on double occupancy and subject to applicable taxes. Price is based on booking by January 31st, playing a 2 pm round on the day of arrival and staying in a standard room. Upgrade to a one-bedroom suite for $28 per person, per night. Make it a foursome and upgrade to a two-bedroom suite for only $15 more per person above the studio package price!